SEO, or search engine optimization, is one of the trickiest aspects of digital marketing. Why? Because it never stops evolving. Google updates its algorithms constantly, meaning the best SEO techniques are always in flux. Negative SEO is a series of vicious tactics and tricks used to sabotage a competitor’s Google ranking. It’s a backhanded way of leap-frogging a rival’s website on Google results. By destroying your natural and organic growth, their site appears more relevant and more authoritative by comparison. So, why has this malicious practice become so common in the last few years? Well, the answer lies in Google’s own brilliance. Five years ago, it was relatively easy to trick Google into boosting search ranking. It involved a series of techniques that experts referred to as ‘black hat SEO.’ It took advantage of the loopholes in Google’s ranking algorithm, and allowed sites to manipulate their way to the first page. Everything from stuffing keywords into content to purchasing unnatural backlinks was considered ‘black hat.’ Naturally, Google got wise to these practices, and quickly put penalties and blocks in place. It became much harder to rig the system or game Google. One of the most common and obvious ways to destroy someone’s natural SEO authority is by hacking them. By getting inside the content management system (CMS), hackers can remove all the relevant keywords. They can destroy the natural web of links inside and outside the website. They’ll alter the carefully constructed metadata that is essential to good search ranking. Quite simply, they’ll hack a site, and destroy the SEO foundations from the inside out all while pointing links to gambling, X-rated material and other less-than-desirable sites. Linking forms the basis of good SEO. It’s one of the key ways in which Google measures a site’s authority. If lots of websites link to content, Google can assume that site is a strong voice on the subject. However, Google has cracked down on black hat linking. For those who use spammy or unnatural links, Google will spot it, and penalize the site. What rivals will do is purchase a series of spammy, unnatural links, and send them all to the site they are trying to take down. It makes that site look like it’s practicing black hat SEO, and Google will penalize the site for it. As one would expect, Google takes a negative view of plagiarism and duplicate content. In fact, the search engine will even penalize duplicate content on someone’s own site. One negative SEO technique involves copying content before it is indexed by Google. The malicious party will then publish that same content on hundreds of different sites. It results in a Google penalty for duplicate content. It also makes it impossible for search engines to distinguish a site’s content from others. Sending bots into a website is an even more sophisticated and malicious form of hacking. They are used to penetrate and take over website infrastructure. These bots will steal content, and quickly erode a site’s natural SEO. Not only that, but hackers can use these bots in their thousands. They’ll flood a website with thousands of bots, which will cause significant slowdown. Hackers know that Google will reduce the rank of a slow website, so they cause a huge log jam on a site. 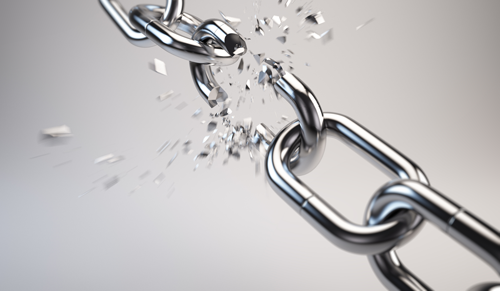 We’ve already explained how negative SEO involves the purchasing of spammy links. Well, some competitors will go one step further. In many cases, they’ll link to a site using malicious and spammy keywords. Things like ‘online poker.’ These keywords harm a site’s credibility, its online reputation and its keyword relevancy. It’s an all-around vicious attack on a website and brand’s reputation. When assessing a site’s authority, Google isn’t just looking for quantity of links. They’re looking for quality. They’re looking to see that high-authority sites are linking to a site. The likes of Huffington Post and The New York Times, for example, are high-authority links. If a website gets a link from one of these websites, Google takes notice, and ranks it higher. As part of negative SEO campaigns, a company’s rivals will target its best backlinks, and remove them. They’ll deceive the company with the outbound link by emailing them as the site owner, asking them to remove the link. In one swift move, a site’s best links will disappear. Those are some of the reasons how and why negative SEO has become such a problem, but how can it be combatted? The good news is that there are plenty of ways to protect a site (and business) against negative SEO. It involves fighting each of the malicious techniques we’ve explained so far. A company’s biggest threat of negative SEO is hacking and bot infiltration. It can cause irreversible damage to a website and reputation. If a site is hacked, it’s both expensive and time consuming to restore it to its original state. In many cases, it’s impossible to reverse the destruction. And, it’s certainly too late to repair the SEO damage with Google. Companies like Distil Networks have designed and built software that will protect a website from 99.9 percent of all bots and hacks. It’s more secure and powerful than any browser firewall, and is designed with negative SEO in mind. By creating a database of bad bots, it can quickly identify malicious intruders. It also monitors typical and natural user behavior on a site. If it senses strange behavior, it will instantly protect the site using techniques like bot throttling. As mentioned, negative SEO techniques include sending spammy backlinks to a site. If a company can keep track of all its current backlinks, it will be easier to spot malicious offenders. A quick Google search for backlink monitors will bring up plenty of tools and software to visualize a site’s linking structure. On many services, site owners can even set up email notifications when someone links to their site. My personal recommendation is to use Majestic Site Explorer to monitor links and link growth. An enterprise should always keep track of its strongest natural links, and take notice if one is removed. The best way to protect those links is to use an email address associated with the domain name. When speaking with editors and website owners, always use that individual email address. Ask them to ignore any communication that doesn’t come from that domain. That means a company’s rivals can’t use a generic gmail or Yahoo address to request takedowns. Google is very tough on duplicate content and plagiarism. If it spots content on another website without permission, it will penalize the original poster anyway. With that in mind, Web professionals should keep an eye out for content appearing on other websites. One simple method is using a tool that most editors and content websites use to check plagiarism, called Copyscape. This tool will scan the Internet for traces of duplicate content. Users can input a website address, or paste the body content into the box. Social media is great for discovering negative SEO. Professionals can quite quickly find accounts and spammers that are purposely trying to harm their site. Rivals will use these accounts to spread spammy links to the site, and encourage sharing. 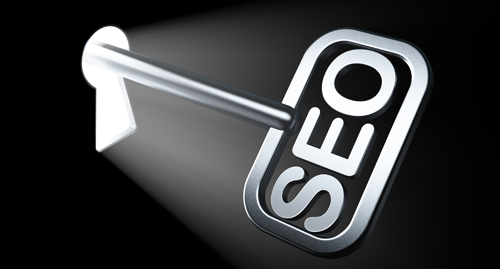 It will slowly lead to a wider and natural looking negative linking strategy. They’ll also use these accounts to spread duplicated content, and simply to damage a company’s online reputation. Site owners should use the search functions of Twitter and Facebook, and report negative-SEO links as spam before they grow. Negative SEO is a vicious circle, and if a site owner gets caught inside, it will end badly. They should focus on building a natural, organic search ranking and avoid engaging in negative techniques. What’s more, they shouldn’t argue with clients and competitors or make unnecessary enemies. While site owners should focus on their own natural techniques, they’ll want to keep an eye open for negative tactics that could cause damage to their reputation and rankings. Have any of you been hit with a negative SEO attack? What impact did it have on you or your clients? Sound off in the comments section below.